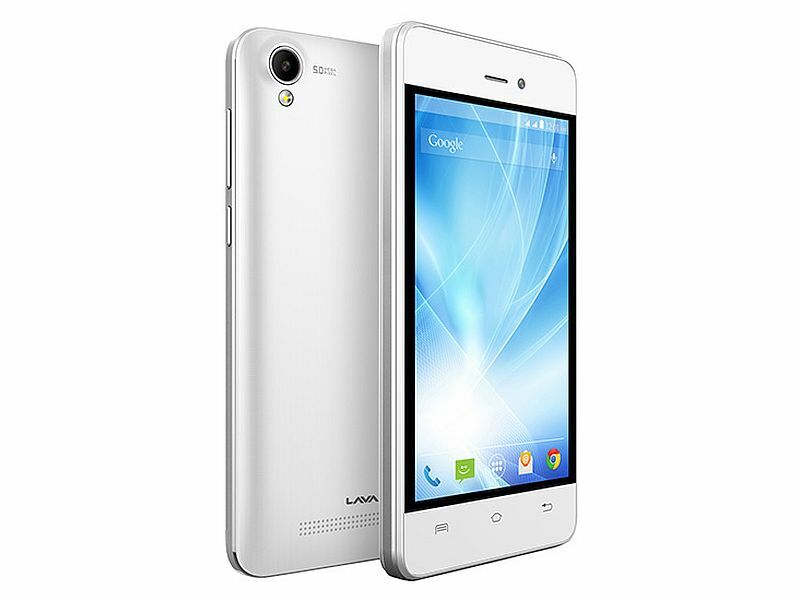 Lava has launched its new Iris-range smartphone, the Iris Fuel F1 Mini, priced at Rs. 4,399. The smartphone has been listed on the company’s website and can be expected to hit the markets soon. Lava Iris Fuel F1 Mini supports dual-SIM and runs Android 4.4.2 KitKat out-of-the-box. It comes with a 4-inch (480×800 pixels) WVGA display. The smartphone is powered by a 1GHz single-core processor coupled with 512MB of RAM. It comes with 8GB of inbuilt storage, which is further expandable via microSD card (up to 32GB). It sports a 5-megapixel rear camera with LED flash, while there is a secondary 0.3-megapixel front-facing camera also on board. The rear camera features face recognition, Panorama, geo tagging, and HDR options. On the connectivity front, the Lava Iris Fuel F1 Mini offers 3G, GPRS/ EDGE, Wi-Fi 802.11 b/g/n, Micro-USB, and Bluetooth options. The smartphone packs a 2000mAh battery, which according to the official listing is rated to deliver up to 19 hours of talk time, and up to 157 hours of standby time. The Lava Iris Fuel F1 Mini measures 125.5×63.4×10.85mm and weighs 120 grams. The handset is listed in Black and White colours. Lava earlier this month launched the Pixel V2 at Rs. 10,750. The dual 4G SIM (Micro-SIM) supporting Lava Pixel V2 runs Android 5.1 Lollipop with the Star OS 2.0 skin, and sports a 5-inch HD (720×1280 pixels) resolution IPS display layered by Asahi Dragontail Glass. It comes powered by a 64-bit quad-core Media MTK6735 SoC (four Cortex A53 cores at 1.3GHz), paired with 2GB DDR3 RAM and Mali T720 GPU. It sports a 13-megapixel rear camera and an 8-megapixel front camera. The Pixel V2 includes 16GB inbuilt storage, which can be further expanded via a microSD card (up to 32GB). Besides a set of standard connectivity options, the smartphone also supports Cat. 4 4G LTE connectivity, with support for Indian LTE bands.